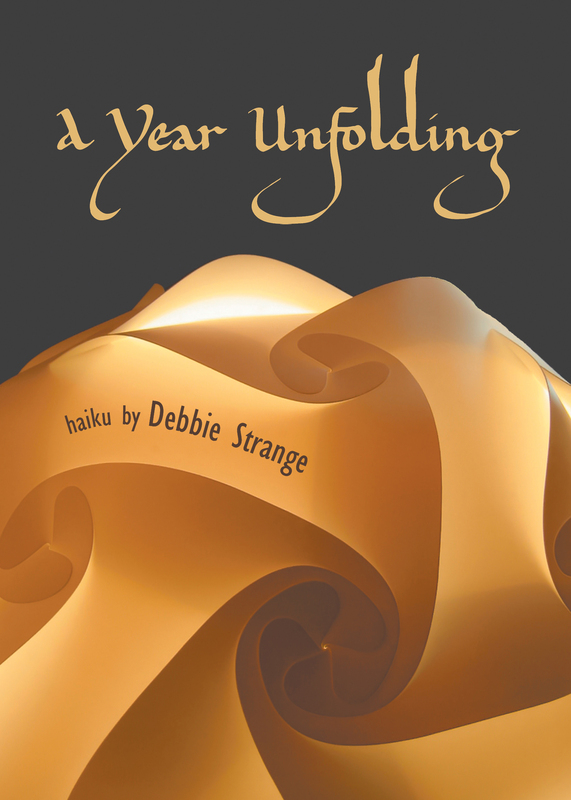 A Year Unfolding is a haiku collection by Debbie Strange that celebrates the changing seasons in Canada, with each poem written in Carolingian hand by JS Graustein before digitizing. Strange sews together a rich tapestry of wildlife, landscape, and love. 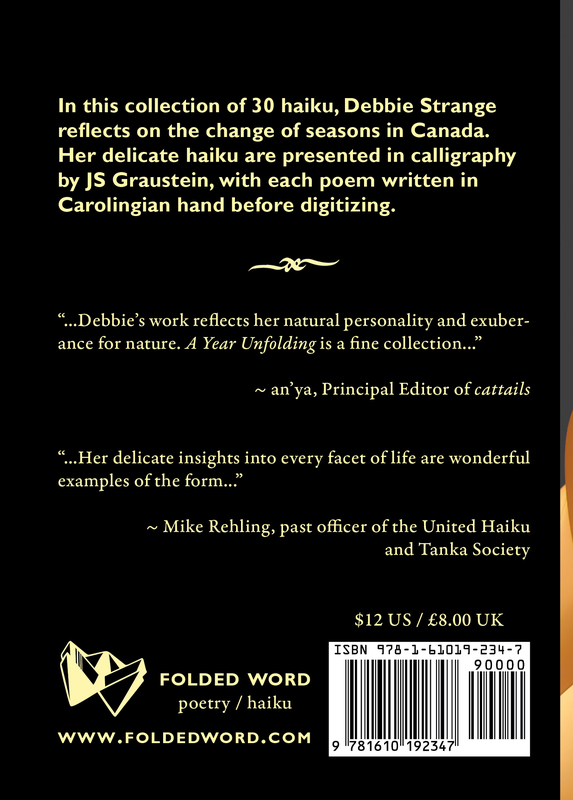 Her poems lead us through the Canadian seasons, sharing the natural flow of a land that is still wild and raw. “Duskfall / we trail our fingers / through stars” — Strange is one of those rare poets who can bring to life the seasons in an entrancing and refreshing way. Print copies are available from most online booksellers. Print copies may be special-ordered from brick-and-mortar bookshops (through the Ingram network). To read excerpts and preview the calligraphy, please visit JS Graustein’s Flickr set. No way! I am so blessed to know that! Thank you thank you!